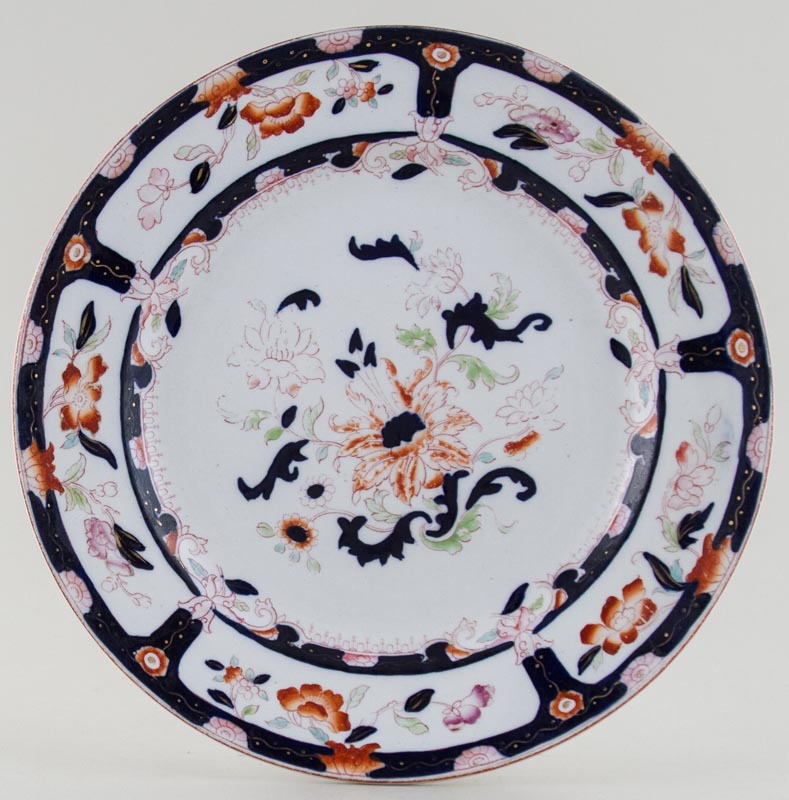 Pretty plate printed in a rich cobalt blue with added hues of terracotta, pink, blue and green. Backstamp: Impressed date for 1889. Surface scratching which has resulted in some loss of colour to the face of the plate, also some wear on the back and to the outer rim.